Read any good coin books lately? If you’re a coin collector, then you have probably seen them out there, whether from another collector or a book store, or even online. Here are a few that I have as well as specialty coin books. The dealers have their ‘greysheets’, but what about collectors like us? 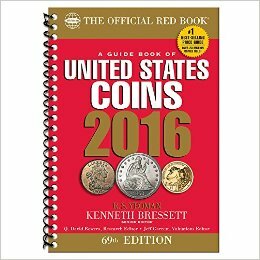 Probably one of the most popular is the official coin book that comes out every year is the ‘Official Red Book’. It includes prices by grade, pricing of common errors and even prices on colonial coins. If you want to be the ultimate coin connoisseur, go for the ‘Mega Red’ book. It goes beyond the ‘Official Red Book’ as being over 1,500 pages and goes into more depth of each colonial and US coin minted. 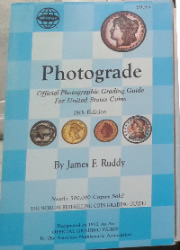 I bought this book years ago just to get an idea on investing in coins, going beyond collecting. This goes through different individual coins and coin sets and determines whether you should see a gain or loss with them. It includes graphs and information to help explain what you should do to invest in your future. I’m just using this as an example because I’m not sure if this book is still out there, but I’m sure there are other books out there that are similar to this concept. I never owned a book about this, but I remember seeing it in coin shows. It was called ‘Cherrypickers’ Guide to Rare Die Varieties of United States Coins’. This is for collectors who look at all of their coins through a magnifier to find different varieties and errors. 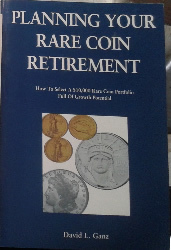 This is not for you unless you are serious about going through every coin you get and review them with this book.